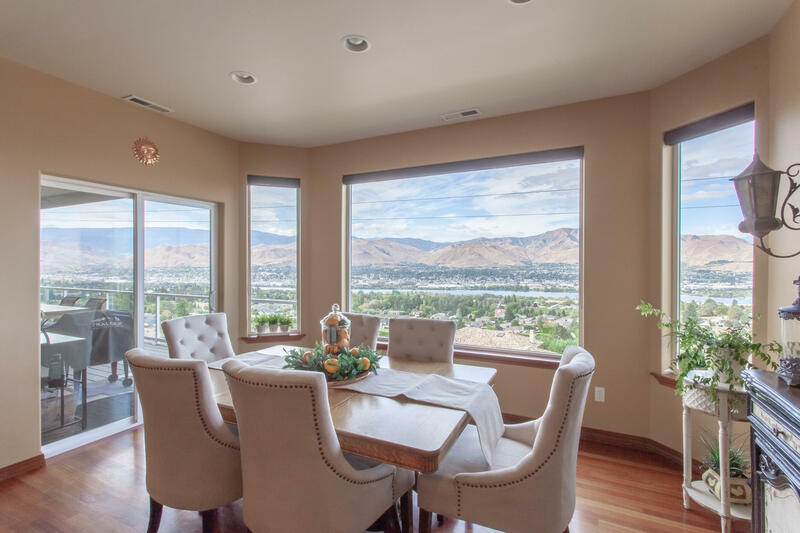 Gorgeous VIEW home with amazing views from Bridge to Bridge and beyond! With tons of natural light, this home has room for all! Updated kitchen with granite, spacious island, double oven, SS appliances and dining with a VIEW! Vaulted ceilings in the living room. Covered Viewing deck and stamped concrete patios offer the opportunity to relax and watch the city lights at night! Master suite with dual walk in closets, dual sinks, walk in tiled shower, soaker tub and a VIEW! Lower level offers 2 beds/1 full bath, kitchenette, second living room, spacious recreation room and even a Media Room! This home is perfect for guests, teens or multi family living! Kitchen Room: Dining with a view! Master Bedroom Room: with a view!